For as long as Madison can remember, she has wanted to soar high above the city she grew up in. Madison aspires to be a pilot, which she knows will require lots of hard work and dedication. Thanks to the opportunities she has been given through the Winnipeg Jets Hockey Academy (WJHA), Madison will be prepared to begin her journey to becoming a commercial pilot, which starts with a degree in aeronautical engineering. Every semester before exams, the WJHA after-school program offers extra classes which Madison diligently attends. At first, Madison was not sure about the extension of the WJHA in high school, but was drawn in when she found out they offered Subway meals as part of the program. She attends the after-school program regularly and recognizes that she has learned important life skills and lessons. Madison especially enjoyed learning more about post-secondary through the WJHA -organized tours of both Universities and of Red River College. Madison is quite mature for her age, so when the opportunity arose to work at Camp Manitou for the summer she quickly agreed. She was one of the first four WJHA students hired to work at Camp Manitou last summer. Shy at first, as the summer progressed Madison grew into her role and by the end of the summer, Madison was recognized as one of the most caring, compassionate and engaging counsellors at camp. 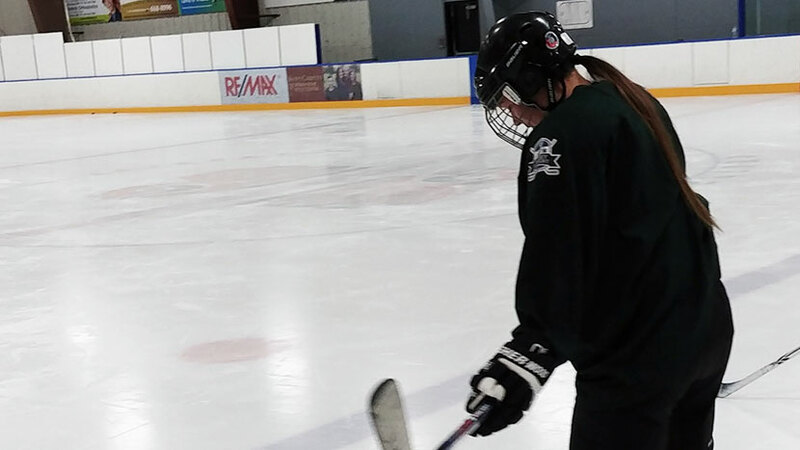 Madison is transferring the skills she has developed through the WJHA and her role at Camp Manitou to the classroom, where she has also become a leader. She is now an advocate for Camp Manitou and is trying to convince her friends to show the same dedication and commitment, so they too may be offered a job at camp. Now in Grade 12, Madison has chosen to focus on the WJHA’s after school programs as she didn’t skate with the academy this season. She will remain connected to the program as she has been asked to return to work at camp this summer, where she will be a leader to the WJHA’s younger participants. Lucky for the True North Youth Foundation, she plans to return as an activity leader every summer for the foreseeable future.